Muscat, May 25, 2017: Al Mouj Muscat, Oman’s lifestyle destination, held today a ceremony to honour the participating fishermen in the first Seeb Fishing Competition organised recently at the Fishing Port of Seeb. 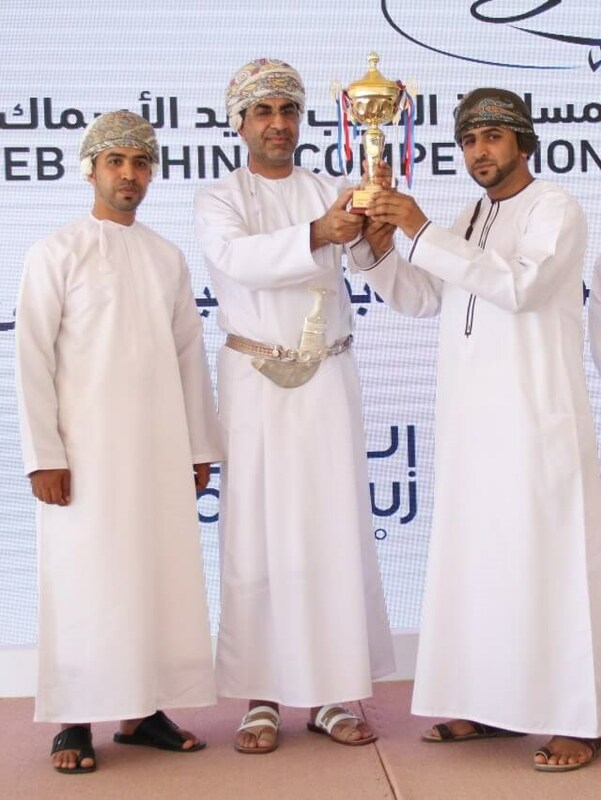 Organizing the competition was a joint initiative between the Fishermen Committee in Seeb and the Wali Office of Seeb in collaboration with Ministry of Agriculture and Fisheries and supported by Al Mouj Muscat. The ceremony was held at Al Majlis in Al Mouj Golf under the patronage of HE Dr. Hamed bin Said Al Ufi, Under-Secretary of the Ministry of Agriculture and Fisheries for Fisheries. Present at the event were HE Wali of Seeb, their excellency members of Shura and Municipal Councils and other dignitaries. Al Mouj Muscat supported the first edition of this competition in line with its Corporate Social Responsibility strategy and as part of its long-standing commitment to support the local community it operates in. Organizing this competition was aimed at promoting traditional fishing and urging Omanis to maintain this tradition as key element of the Omani heritage. Nasser bin Masoud Al Sheibani, CEO of Al Mouj Muscat said, “We are very pleased to be associated with this first-of-its-kind initiative as fishing has been the traditional livelihood of many people in the Wilayat of Seeb. The competition was a wonderful opportunity for the participating fishermen and fishing enthusiasts of different ages. We always join forces with key stakeholders aiming to create platforms of growth and success for Omanis of different interests”. The competition was open to Seeb resident fishermen and fishing enthusiasts above the age of 18 years. Around 35 fishing boats with more than 100 fishermen and fishing enthusiasts have taken part in the 5-hour competition using hock and thread. Participating fishermen in the competition were required to obtain a boat license and fishing license from the Ministry of Agriculture and Fisheries. However, fishing enthusiasts were required to get a boat license from the Ministry of Transport and Communication and a fishing license from the Ministry of Agriculture and Fisheries. Formerly known as The Wave, Muscat, Al Mouj Muscat is the Sultanate’s lifestyle and leisure destination and is a unique public-private venture between the Government of the Sultanate of Oman and the UAE-based Majid Al Futtaim Properties. Follow Al Mouj Muscat on facebook.com/almouj.muscat; instagram.com/almoujmuscat; youtube.com/almoujmuscat; twitter.com/almoujmuscat for regular updates, images, videos and news.